Our students have made tremendous academic growth over the past school year. In the coming school year, they will pick up where they left off or better with continued practice over the summer. To prevent any decline in skills during summer break (known as “summer slide”), we strongly encourage students to engage in activities across all academic disciplines to keep their skills sharp. Although research shows that as much as a month of learning can be lost and never regained, it also demonstrates that this loss can be averted when students consistently spend time on academic tasks during summer. Some research shows that math skills suffer more over the summer than any other academic skill. Math skills tend to decline more than reading skills, possibly because children are more likely to encounter reading opportunities even without voluntarily seeking them out. But math activities can be just as fun and widely available. Keep a tally of things you see on your next road trip. Give your child a “Road Trip Scavenger Hunt” to count cows, water towers, or airplanes. Bake a cake together–and have your child be responsible for the measuring. Bake cookies, a cake, biscuits and more. Make your child the “Official Measurer,” or take it a step further and let your child make dessert by following a recipe (with your supervision). Encourage your child to estimate the number of people in a crowd (at the beach, in line for tickets, etc) by practicing extrapolation. Next time you’re at your local swimming pool, have your child approximate the volume of water in pool. Stopping at the grocery store to pick up a few things? Have your child add up the grocery bill before you get to the check-out counter. For more on TNCS’s distinctive approach to math during the school year as well as targeted recommendations for summer practice, read Building a Strong Foundation in Math: Tips, Resources, and Activities to Foster a Love of Math at Home on our school blog Immersed. 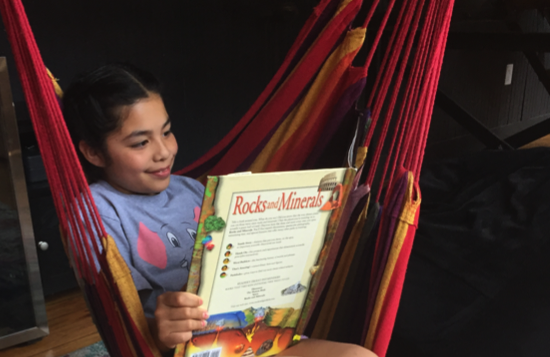 Reading during summer break not only helps prevent summer slide, it can also foster a lifelong love of books. Encourage your child to read throughout the summer months. Below you’ll find some of our summer reading picks by grade level. Please note that these books are age-appropriate and recommended by education experts. However, some books may contain content that is not suitable for all readers. Please help your child choose books that are just right. Many local organizations, including the Enoch Pratt Free Library, offer summer reading incentive programs for school-age children. 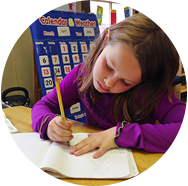 Cursive writing is taught in TNCS’s elementary program, and using it is required for all students grades 2 and above. The fun, game-based workbooks below will help keep students’ fine motor skills sharp and improve their penmanship. Also check out the sections below for other fun ways to practice cursive writing. Write a letter to a friend from school. Send a postcard to a family member. Be a critic: write a review for a restaurant, hotel, book, or movie. Send an email to a family member or friend. Respond to news or magazine articles. Summarize and write about a possible sequel to a book you read. Write a diary entry as if you were one of the characters in the book. Write a scene or story in which the character(s) travel out of the book into today. Write a pitch to a movie producer explaining why the story would make a great movie. Write an article about the information you have learned and how it will have an impact on the world. Create a new book jacket for your book. Include the title and author on the front. Inside, summarize the text with key details to support your main idea. Choose 15 important words from the text and create a Crossword Puzzle (puzzle-maker.com). Create an informational brochure on the information that you learned from your text. Include the title and author of the book. Create a commercial based on 7 or 8 new facts that you have learned. Include the title and author of the book. Write a letter to the author of a book you read explaining the most important information you learned from the book and questions you may still have. Encourage your child to apply scientific concepts to everyday life. Enroll in a STEM-based camp like Camp Invention. And, when it’s time for screen time, load up the science sites and apps below. Keep your child’s Spanish language skills in practice by reading in Spanish, attending Spanish Immersion Camp, and by visiting the websites below. 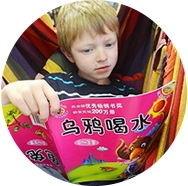 Don’t let your child’s Chinese language skills diminish over the summer break. Enroll in Chinese Immersion Camp for grades K to 8, and provide your child with the resources below.